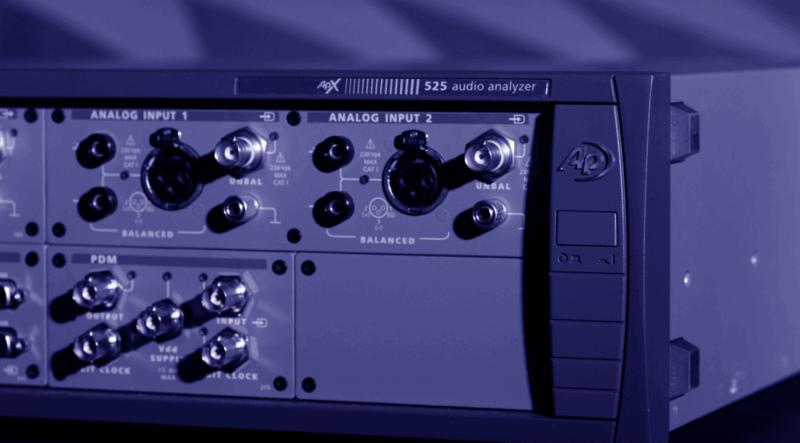 AP audio analyzers provide more connectivity options with higher performance specifications than any other analyzer in the world. Every interface option is fully integrated into our software, eliminating uncertainty and enabling faster test setup, while our test software provides unique measurement views and results that are trusted everywhere. AP is accredited by A2LA under ISO/IEC 17025:2005, the most stringent standard. Calibration provides documented and traceable verification that instruments meet or exceed all of their published specifications. Dedicated hardware accessories and internal modules to expand analyzer functionality.